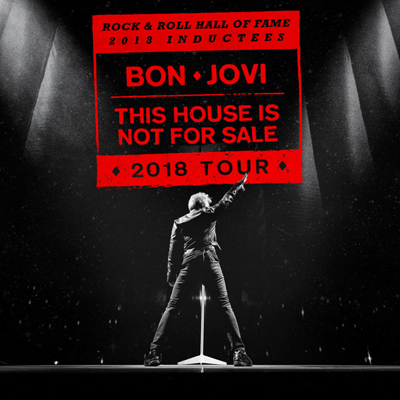 BON JOVI Announces 2018 "This House Is Not For Sale Tour"
The band will also celebrate their return to the road with the re-release of This House Is Not For Sale as a new version, This House Is Not For Sale (When We Were Us), containing two brand new songs, “When We Were US” and “Walls”. This House Is Not For Sale (When We Were Us) will be available via all download and streaming partners on February 23. Backstage with JBJ Members & VIP Experience Packages – Presale begins January 16 at 10 a.m. local time through January 18 at 10 p.m. local time. (except Denver, which will begin January 15 to 18 and St. Paul, which will be February 13 to 15).